As well as providing up to date accurate information to passengers travelling on the transport network, a key step in achieving customer satisfaction is to provide the same quality of information to the public waiting to board their train, bus, or plane at the transit hubs, i.e. public within station booking halls, concourses and platform areas. 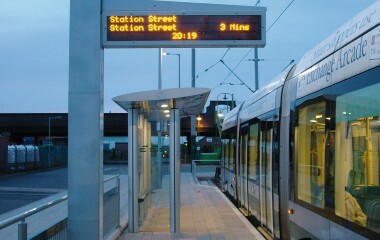 Our extensive experience in the provision of Public Address equipment, such as Visual Display equipment and on-train Passenger Information equipment means that we are ideally placed to provide complete turnkey solutions for any Customer Information system needs. See our separate product descriptions for Public Address Systems and Electronic Displays for further details of our audio and visual equipment.